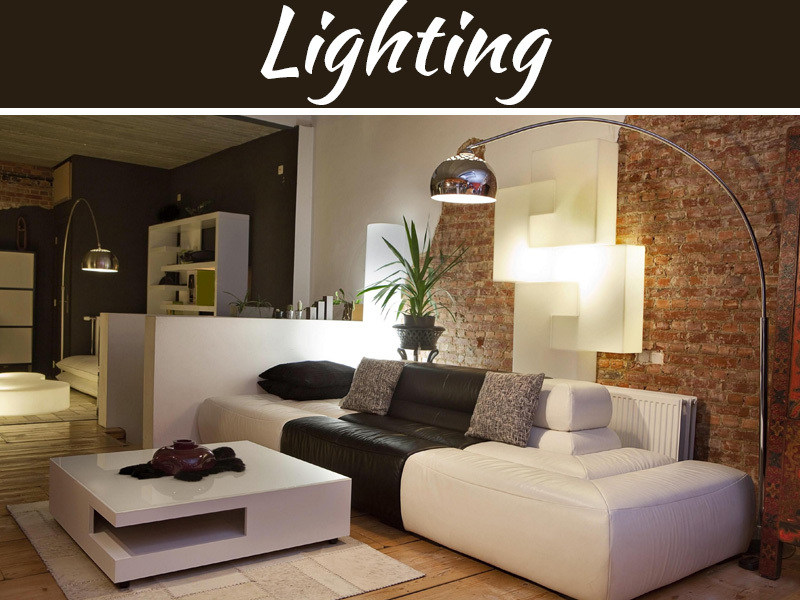 LED or Light Emitting Diode is a new striving lighting technology. It is becoming extremely trendy because of its exquisite designs, sizes, and shapes, it’s inexpensive and economical costs, its splendiferous lifespan, and requires minimum voltage level. LED lights contain no chemicals or toxic substances; therefore, they are effective for outdoor lighting as it does not contaminate the environment with toxic waste. 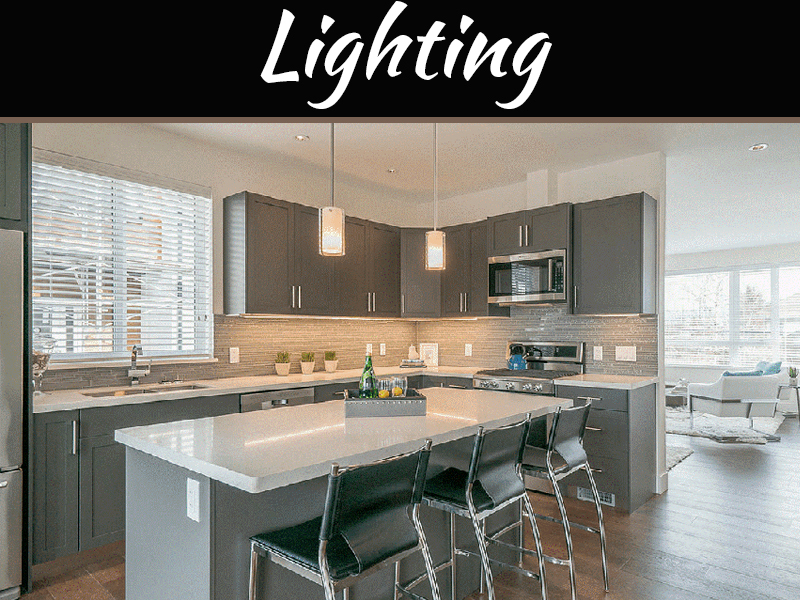 Due to its amazing properties, LED lighting is a clever way of illumination and up to date lighting strategy. LED bulbs are extremely energy efficient and they convert about 10% of the electrical energy into light thus saving 90% of energy. Further, they have approximately 60,000 hours extended life, 10 times longer in comparison to the ordinary incandescent bulbs. Also, LED bulbs generate a minimum amount of heat, therefore, preventing the bulb from being extremely hot and reduces the risk of fires and burns. They are highly durable and can be used for indoor as well as outdoor lighting as in conditions of windy or rainy weather. 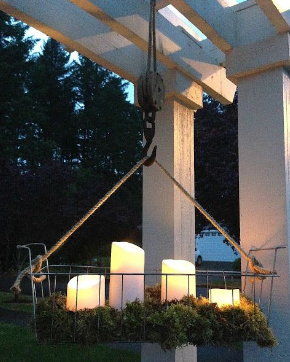 The most beautiful idea for outdoor lighting includes the chandeliers. You can use your old chandelier or buy a new one and can make it bright, radiant, and elegant by adding LED bulbs into it. Chandeliers can not only make your front yard or backyard glittering and beautiful but also dress it up, too. They add beauty, warmth, and elegance to your garden. They attract attention and improve the appearance of boring looking space. 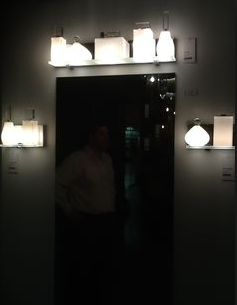 It creates a welcoming atmosphere that no ordinary wall lights can create. LED glowing orbs are made out of white plastic with led bulbs incorporated. They are small in diameter and provide a switch that can change its color instantly. They are very popular and are used for various decorative purposes. You can put it into your pools that provide a dazzling look to your pools. Also, they can be used to hang onto the trees in your front yard and make your house look pretty radiant, soft and glowy.They are waterproof and can be easily used in the pools or on the trees even in drizzling or rainy weather. They are multi-colored and you can change your house’s look depending upon your mood. Changing your ordinary outdoor lighting with the new updated LED vanity lights can give your house a dazzling look. It is an easy, cost-effective, and a long term lighting method to brighten up your front yard. They can be fixed on your walls or hang up on the trees. They also change the color of the walls making the walls look dim, soft and shadowy. It provides a beautiful gold vintage-look to your house. It can further be used in parties providing a beautiful dim arrangement. The ultimate way to make your outdoor more energy efficient, you can make use of LED Solar powered bulbsas they are powered by the sun. 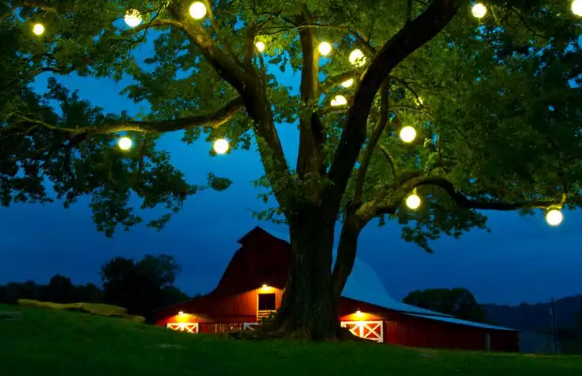 There are various designs and shapes available in the market for outdoor lighting ranging from various styles of fairy light to pretty lanterns that can transform your house or garden and create a sensational atmosphere for any party or gathering. It is a perfect method because it does not waste electrical energy being energy efficient. Also, prevents the battery from running out and at the same time makes your garden look phenomenal. 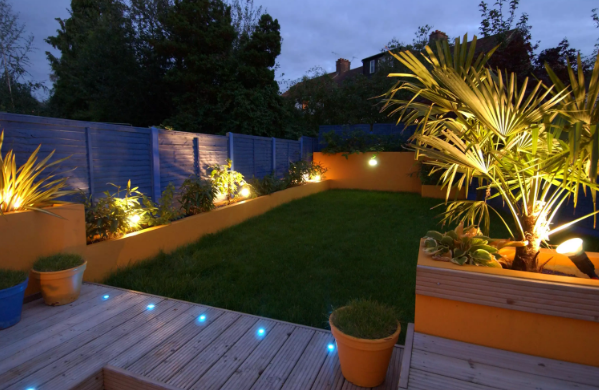 In order to make your garden bright and creating a perfect atmosphere, you can use plug and play lights. It is one of the easiest and cost-effective ways of making your garden look radiant. All you need to set up a plug and play light system is a combination of white or multi-colored lights, a transformer of 22 watts or 60 watts, and a main connecting cable of either 10m or 15m. 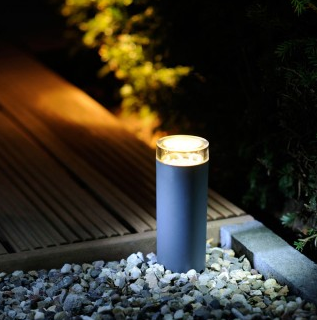 It can be set up on a path in your garden or on the walls. It provides a bright view at night. It can be used to guide a path towards your home or indoor. 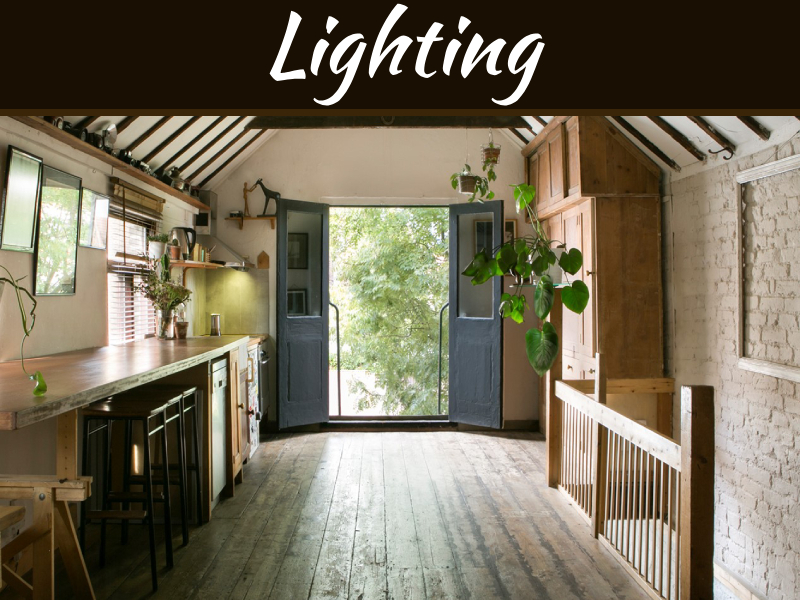 All of these tips and ideas can help you with the best outdoor lighting system. These LED bulbs can be used on ordinary days as well as for parties and gatherings. These tips not only make your house look beautiful and glittering but also provide a golden vintage-look.